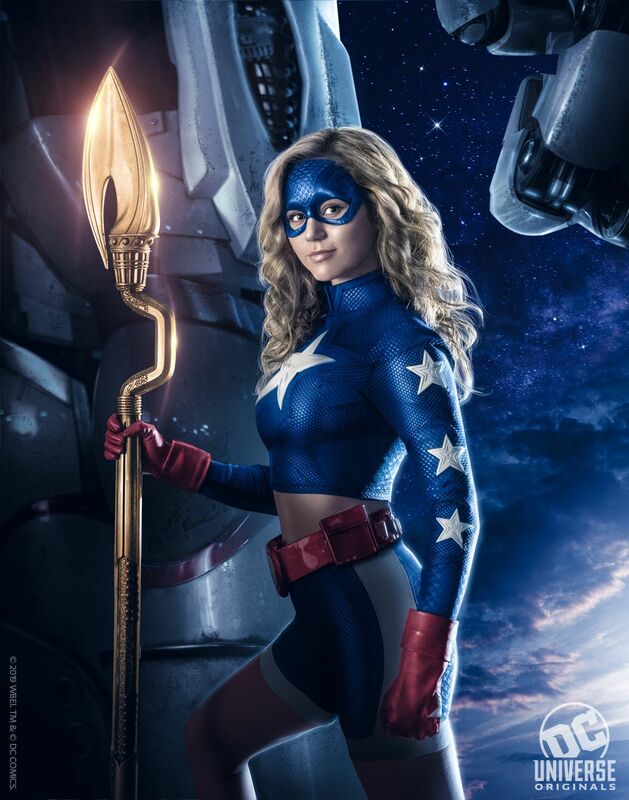 ‘Stargirl’: First look Reveals Brec Bassinger In the DC Universe Series!! Check It Out!! | Welcome to Moviz Ark! ‘Stargirl’: First look Reveals Brec Bassinger In the DC Universe Series!! Check It Out!! During its panel at WonderCon Anaheim, DC Entertainment unveiled a first look image of Brec Bassinger (Bella and the Bulldogs) as Courtney Whitmore, a.k.a. Stargirl, from the upcoming live-action DC Universe TV series. Featuring in the cast of Stargirl alongside Brec Bassinger are Amy Smart (Justified) as Barbara Whitmore, Luke Wilson (Roadies) as Pag Dugan, Trae Romano (Robbie) as Pat Dugan, Joel McHale (Community) as Starman, Lou Ferrigno Jr. (S.W.A.T.) as Hourman, Brian Stapf (The Walking Dead) as Wildcat, Henry Thomas (The Haunting of Hill House) as Dr. Mid-Nite, Joy Osmanski (The Santa Clarita Diet) as Tigress, Neil Hopkins (Matador) as Sportsmaster, Nelson Lee (Mulan) as Dragon King, Meg DeLacey (The Fosters) as Cindy Burman, and Anjelika Washington (Young Sheldon), Yvette Monreal (Matador), Christopher James Baker (True Detective), Neil Jackson (Westworld), Hunter Sansone (Drama Drama) and Jake Austin Walker (Rectify) in undisclosed roles. ← ‘Ghostbusters’: McKenna Grace Is The Latest Addition! !